Why Is My Ring Doorbell Missing Live View? 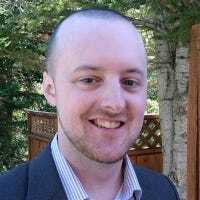 If you have your Ring Doorbell all set up, and were looking forward to a live view of the Ring’s camera, you might be disappointed to find that it’s missing from the Ring app. There’s a very simply answer as to why that is. The Ring Doorbell is advertised as having a live view mode, where you can view the camera on your Ring unit whenever you want and see a live view of what’s happening outside at any time–no need to wait for someone to come to your door. However, what many people miss is that live view mode doesn’t work if your Ring Doorbell is running on battery power. You can power your Ring Doorbell unit either using the internal battery or wire it up to your existing doorbell’s wiring, which turns the internal battery into a backup in case of a power outage. The upside of running it off the internal battery is that you don’t have to worry about messing with the existing doorbell’s wiring, making the installation process a lot easier. Plus, depending on where your existing doorbell is located and where you want to mount your Ring unit, it might be really difficult to reroute the doorbell wires to the Ring unit. Since live view requires a bit more juice to power, it’s pretty smart for Ring not to include such a feature if the unit is running off of battery power in order to make it last longer before you need to recharge it. But if you were looking forward to it only to find it doesn’t work on battery power, you may be very disappointed. If you can, try to wire it up to your existing doorbell wiring to get this feature. 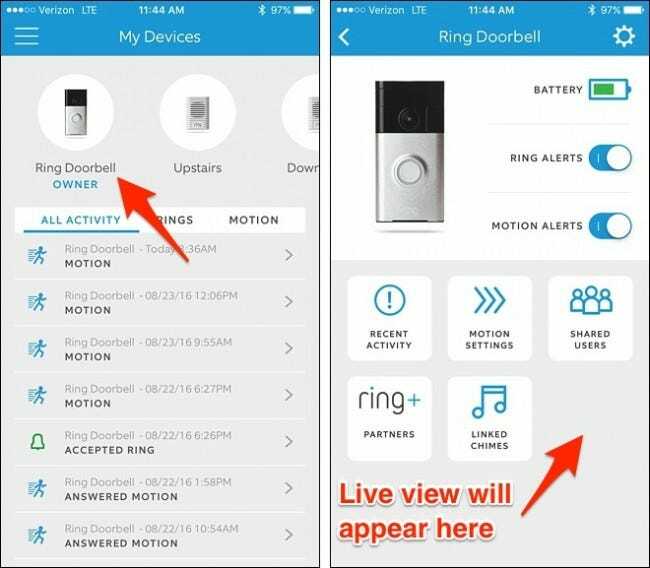 If you have your Ring unit wired up to your existing doorbell’s wiring, you can access live view by opening up the Ring app on your phone, tapping on your Ring Doorbell unit in the top-left corner, and then tapping on the “Live View” box on the next screen. From there, you can tap on that and you’ll be shown a live view of what’s happening at your front door. When you’re in live view, you can still talk through the microphone like you would if someone was at your door.